The handle helps baby stand and balance. 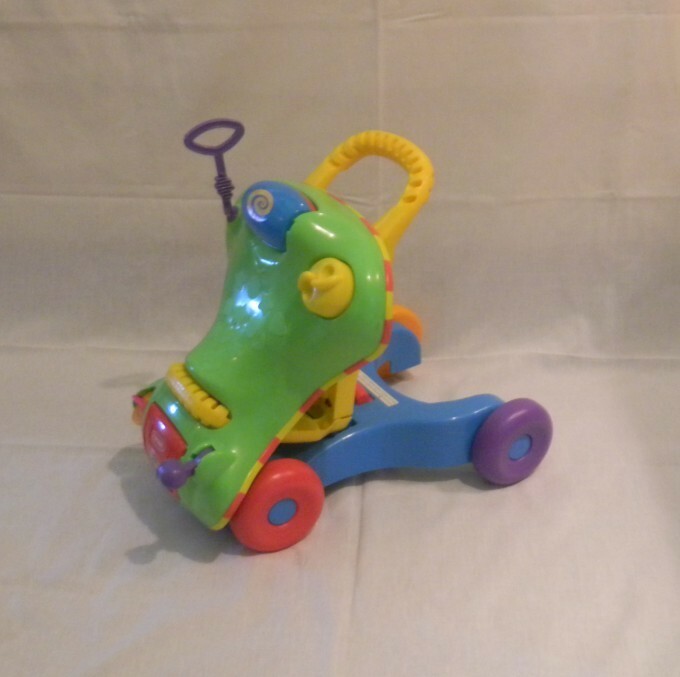 Once walking is a sure thing, toddler can hop on and ride all around for a good time. Colors and styles may vary. Ages 9 to 36 months. Handle helps baby stand and balance. Once walking is a sure thing, toddlers can hop on and ride all around. Walk or ride for ages 9 to 36 months.